Dear Friends, we’re really happy to announce our participation as active partner to the JAZZIT FEST 2018 – Montegrosso (Andria – Italy). 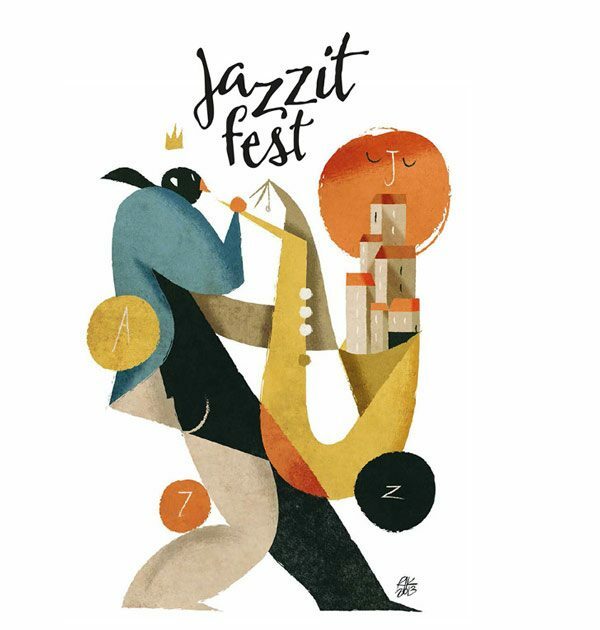 The Jazzit Fest is promoted exclusively in small urban centers, every year in a different region of Italy. And for the occasion the local community makes social inclusion with music, hosting artists, volunteers and professionals in private homes, cloisters, historic buildings, squares and churches. The Jazzit Fest wants to show that music, even before being an art form, has a great social value. First of all, we will introduce during these days our new internal division about Entertainment Services called Tosky Factory. Secondly, we will present again, a workshop dedicated to musicians and music operators (see past editions HERE). At last, come to our stand for consulting and to submit your new Jazz projects or Production Music. This entry was posted in events, Fair, News and tagged Andria, Fair, jazzit, Jazzit Fest, June 22-23-24, Montegrosso. Giorgio Lovecchio has developed a passion for music and music technology at a very young age, later becoming equally enthusiastic about video. He graduated in guitar at the University of Music, Rome and after attending many postgraduate courses he started collaborating as a Sound Engineer with some of the best Italian and international jazz musicians including, Pietro Iodice, Luca Pirozzi, Aldo Bassi, Pino Iodice, Maurizio Giammarco, Giorgio Rosciglione, Vincent Frad, Vincent Borgeouyx, Cinzia Gizzi, Gegè Munari, Massimo D’Avola and Massimo Manzi. Giorgio was awarded certification as an Apple Video Editing Trainer, combining teaching activity with all of his other activities. He collaborates with the Greek composer DIMITRIS POLYCHRONIADIS as Scoring Mixer and Midi Engineer for musicals (Maggie’s heart; Il signor B; Sweeney Todd MTV Spoof Movie) and with the guitarist ROBERTO UGOLINI for TV voicing (RaiTrade, Geo & Geo, La Vita in Diretta, Alle Falde del Kilimangiaro). He’s the owner of the sound mixing studio and teaching institution for video and music technologies, Giorgio Lovecchio Digital Solutions. Actually he’s Trainer in Rome at Istituto Quasar and Espero Srl. In December 2009 he launched a new independent record label with Davide Belcastro named Tosky Records, specialized in Jazz music..